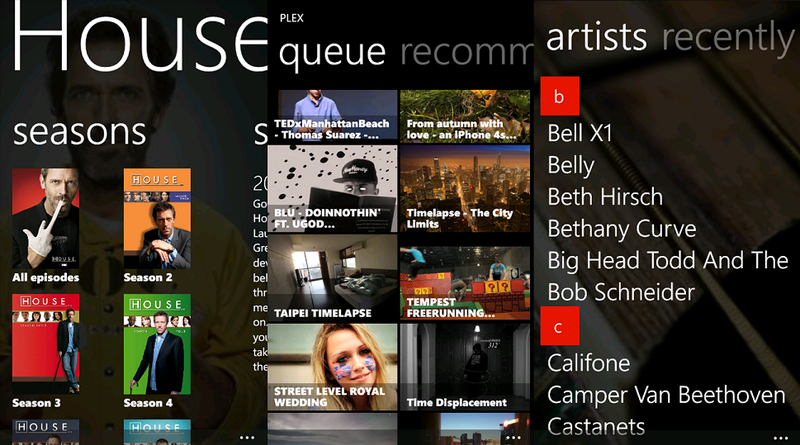 We broke the news just the other day that Plex (see site), a popular application for Home Theater PC users, was about to release their official app for Windows Phone which would enable users to stream movies, music and photos to their devices on the go. "The Plex application allows you to use your Windows Phone to browse and play your media (video, photos and music) using the Plex Media Server installed on your PC, Mac or Linux system. You can also view online media from a variety of sources. YOU MUST HAVE THE PLEX MEDIA SERVER (version v0.9.6 beta or higher) INSTALLED AND RUNNING TO STREAM LOCAL MEDIA: http://www.plexapp.com/getplex"
The app fetches for $4.99 although there is a free, fully-functional trial that is limited to 30-second playback of media. You can pick it up here in the Marketplace.